China’s first unilateral marine assault, when it comes, stands to be an enormous geopolitical irritant that may push the United States and China toward conflict. In Washington, however, where old-fashioned amphibious assault is out of favor, defense policy makers are ignoring the dangers posed by a large, modern Chinese amphibious fleet. Those Chinese forces are growing; in time they will support the deployment of marines well beyond the narrow confines of the first island chain. Managing the wary coexistence of two independent-minded blue-water amphibious forces, Chinese and American, presents an underestimated strategic challenge. After six decades as the globe’s uncontested amphibious leviathan, America is not ready to accept that this unique and useful capability will be shared. In strategic circles, Chinese marines and their potential value as a geostrategic tool are almost entirely a non-issue. Strategists prefer to focus on the Chinese pursuit of a training carrier, long-range ballistic “carrier killer” missiles, stealth aircraft, and other “sexier” weapons meant to deny a force freedom to move and maneuver—the so-called anti-access/area-denial weaponry. To Washington defense elites, China’s low-tech amphibious platforms are comfortably unthreatening. The first modern blue-water amphibious-assault vessel, the 998 Kunlun Shan, a Type 071 Yuzhao-class landing platform dock (LPD), earned little more than a dismissive shrug as it entered service in the People’s Liberation Army Navy (PLAN) in 2008. Little more than a traditional battle taxi, the ship can support a reinforced battalion of four hundred to eight hundred marines, some landing craft, and a brace of midsized helicopters anywhere in global littorals. The Yuzhao class itself, based on twenty-five-year-old technology, bears a strong resemblance to the U.S. Navy’s twelve Whidbey Island–class amphibious transports. To Washington’s defense elites, China’s low-tech amphibious platforms are comfortably unthreatening. With front-line amphibious ships receiving little attention, the PLAN’s mundane force of second-string amphibious-assault ships has been almost entirely ignored. It is perilous to forget that China’s twenty-seven good-sized, medium-endurance Yuting II, Yuting I, or Yukan class (Type 072III, Type 072II, and Type 072, respectively) LSTs (for landing ship, tank) can support the projection of amphibious forces beyond the Taiwanese coast. These austere platforms may not be up to Western standards of comfort and reliability, but they are, just like their World War II–era predecessor, the venerable American LST, perfectly capable of projecting amphibious power into the Pacific. Beijing’s investments in modestly militarized amphibious-assault support platforms have also been overlooked. China’s 25,000-ton hospital ship, the Anwei-class (Type 920) Daishandao, or “Peace Ark,” coupled with a similar-sized, newly launched troop ship, all offer simple, cheap transport for hundreds of Chinese personnel. Policy makers fail to fully comprehend that these platforms, supported by China’s large amphibious cargo vessels, the Danyao-class Fisheries Law Enforcement Command supply ship, and two Dayun-class (Type 904) South Sea bastion supply ships, bolstered by an enormous blue-water civilian fleet and a potent naval militia, can perform well in many amphibious operations short of intense combat. To blue-water war-fighters, all eager to point out that nobody has engaged in a contested landing since Okinawa or Inchon, China’s amphibious platforms are insignificant. On the “hot” littoral battlefields of the future, the PLAN’s big, slow amphibians have little value, and, in any conventional conflict, those ships will disappear quickly, buried under a hail of ordnance. But outside of an all-out blue-water fight, the geopolitical utility of China’s amphibious force deserves a far more rigorous analysis. If it can avoid a major shooting war, Beijing’s arsenal of cheap, simple-tech amphibious-assault ships enables the PLAN to unilaterally project power well beyond Taiwan and the first island chain. To date, China has dispatched its new amphibious-assault platforms to support popular multinational maritime security initiatives, gaining valuable expeditionary experience and international “soft power” credibility. Last year, the first deployment of the Type 071 amphibious transport vessel to anti-piracy duties off Somalia passed uneventfully. The subsequent dispatch of China’s new hospital ship to Africa and Asia was a success, projecting the PLAN well beyond China’s traditional sphere of influence. Beijing’s arsenal of cheap, simple-tech amphibious-assault ships will let the Chinese navy unilaterally project power well beyond Taiwan and the first island chain. Today, as a second Type 071 transport nears completion, local observers now expect China to build up to six Type 071 vessels along with six flat-deck helicopter carriers. In all, China appears to be planning for a good-sized set of first-generation blue-water amphibious-assault platforms, aligning well with the growing amphibious forces of Japan, South Korea, and other Pacific neighbors. To the international community, the Chinese navy’s buildup of amphibious force is a welcome sign that Beijing is preparing to accept greater responsibilities in the global commons. As the chairman of the Joint Chiefs of Staff, Admiral Mike Mullen, told Congress in early 2010, “China can—and should—accept greater responsibility for and partner more willingly to safeguard the global trade and investment infrastructure.” With increasingly capable—and reliable—amphibious vessels, the PLAN will range farther afield, supporting multinational initiatives, peacekeeping missions for the United Nations, and other soft-power pro-jects. But the operational incentives to support multinational cooperation will wane in time, leaving China with the skill and confidence to independently pursue its core national interests, however they are then defined. Amphibious forces, unlike traditional combat-based hulls, are utilitarian and meant to be used for a range of contingencies. As Beijing starts demanding a strategic return on PLA naval investments, Chinese marines will lead the way. The first tentative PLAN efforts to project amphibious power beyond the first island chain will come in the coral atolls and volcanic islands of the South Pacific. Well off the world’s geopolitical radar, the tiny independent countries of Oceania make for a diplomatic, intelligence, and economic backwater. To most harried U.S. national security policy makers, Melanesia, Micronesia, and Polynesia are idyllic, peaceful places, well within the U.S. sphere of influence. In fact, they are neither peaceful nor secure. 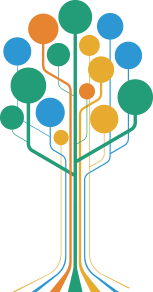 Many South Pacific islands are troubled, ill-governed, and facing enormous economic and environmental challenges. And as native islanders grapple with an uncertain future, many are turning to violence, attacking newly arrived ethnic Chinese who have, in disproportionate numbers, made their home in the deep Pacific. With those ethnic Chinese communities under regular threat, few Asian navies have a more compelling rationale to apply amphibious force in Oceania than China. But unilateral projection of Chinese amphibious forces into the Pacific—no matter how strongly justified­­­—risks pushing the entire region into perpetual crisis. People of Chinese ethnicity have long dwelt in the Pacific. But as China opened three decades ago, an estimated 200,000 Chinese migrants left the mainland to settle in South Pacific islands. These lands were economically moribund and had fragile governments. Over the intervening years, the Chinese migrants thrived while resisting assimilation, establishing thriving, culturally separate Chinatowns and ethnically exclusive business networks. The first tentative Chinese efforts to project amphibious power will come in the coral atolls and volcanic islands of the South Pacific. On Tonga, “newly arrived” Chinese own almost 70 percent of small businesses. In the Marshall Islands, twenty years after officials used semi-legitimate passport sales as a means to jump-start immigration, native-born Marshall Islanders now own fewer than half of the 146 small and medium-sized businesses in the capital atoll of Majuro. But as the old political and economic orders shift, disenfranchised native islanders grow resentful, harboring suspicions of the relatively recent Chinese arrivals. Given the right trigger, this simmering racial tension explodes. Chinese marines in camouflage stand at attention as Admiral Gary Roughead, thencommander of the U.S. Pacific Fleet, visits their base in Zhanjiang in 2006. American amphibious transport ships had arrived for a joint search-and-rescue exercise with the Chinese navy meant to promote understanding and cooperation. In 2006, rioters in Honiara, the Solomon Islands’ capital, burned 97 percent of the local Chinatown. The same year, race riots in the Tongan Island archipelago left eight dead and, in the capital city of Nuku’alofa, much of the Chinese-dominated business district was destroyed. In Papua New Guinea, anti-Chinese rioting, reportedly involving tens of thousands of people, broke out in May 2009. At least four people were killed and Chinese-owned businesses were pillaged throughout the country. To date, China’s response to ethnic violence has been measured, limited to official calls for the protection of Chinese citizens; some deft, low-profile evacuations via chartered jet; and no-strings-attached aid to support rebuilding. But as these provocations continue, protests from China’s diplomats and domestic press are growing louder. The failure of the Pacific’s weakly governed island states to protect Chinese business interests and citizens of Chinese ethnicity is becoming a higher priority for the Chinese Foreign Ministry. After largely ignoring a trickle of race-based provocations throughout the 1990s, Beijing is signaling its impatience. In 2009, after a spasm of ethnic violence in Papua New Guinea, a Chinese Foreign Ministry spokesman warned that “the Chinese government attaches great importance to the safety of the Chinese citizens” in that country. In Papua New Guinea, anti-Chinese rioting, reportedly involving tens of thousands of people, broke out in May 2009. At least four people were killed and Chinese-owned businesses pillaged. The islands are on a collision course. A stronger China will not readily tolerate chronic anti-Chinese ethnic violence, and yet, in the Pacific Basin, continued immigration by Chinese, resource depletion, sea-level rise, and institutional corruption make ethnic violence a certainty. At some level, prestige is at stake. No country can long tolerate a besieged embassy or news of beleaguered nationals dying at the hands of a mob. Given the frequency and intensity of anti-Chinese violence, the prospect of Chinese military operations in the deep Pacific is certain. Frankly, Beijing has little to lose. Oceania, with few security forces capable of mounting more than token resistance, makes an almost ideal region for the PLAN to test its fledgling fleet of modern amphibians—and if a local intervention can be converted into a long-term strategic gain for China, so much the better. Continued anti-Chinese violence in the Pacific Basin will land the United States, France, and other Pacific allies in a political quandary. The modern precedent is set: when U.S. or other Western nationals are threatened, U.S. Marines appear off the coast, ready to help with security or evacuations. And when nationals are in peril, America sometimes dispenses with diplomatic niceties. The United States and the international community can expect the same response from Beijing when Chinese citizens are endangered. This would not be a problem except that in the larger geopolitical toolbox, a national military response to aid threatened nationals can easily evolve beyond this muscular form of consular support. Rescuing a “threatened national” is a time-honored means to justify advantageous “non-combatant” operations, constabulary actions—even outright annexation. Just as Germany in 1897 exploited an outbreak of anti-European violence to seize Qingdao, establishing a base for Imperial Germany’s forward-deployed Far East Squadron, China may consider a similar gambit to obtain a forward base that, in part, threatens America’s redoubts throughout the Pacific. Again, China can cite American precedent, pointing out that in 1983 American medical students on the Caribbean island of Grenada served as diplomatic justification for Operation Urgent Fury, a forcible rollback of Cuban military influence. At present, nothing is in place to dissuade China from a territorial gamble. 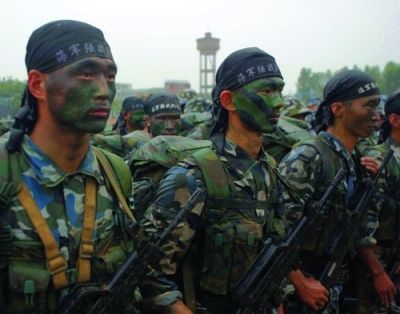 For the PLA, the temptation to transform a temporary intervention into a permanent annexation may prove overwhelming. Once ashore, China can remain “on station” to bring in troops, anti-access/area-denial weapons, and more. A Pacific lodgment offers Beijing a strategic equivalent of Diego Garcia—a forward base offering air coverage, ship maintenance, and logistical support. Prior territorial gambles granted the PLA leadership enormous dividends. Throughout the 1990s, as China landed forces and developed a permanent presence on Mischief Reef and other South China Sea islets, the international community lacked the nerve to expel a tiny Chinese vanguard perched at the outermost limits of Beijing’s then-modest air and naval forces. Aggressive Chinese diplomacy and steady, incremental reinforcement allowed the PLA to expand its initial footprint, establish “facts on the ground,” and, in time, use the acquisitions as a basis to claim the entire South China Sea. Lacking credible deterrence, Beijing’s seizure and effective appropriation of the Paracel Islands and certain Spratly sea features is part of a pattern the world must expect to emerge again. To date, the calibrated passivity on the part of the United States, Australia, Japan, and other key beneficiaries of Pacific stability seems to have only whetted the Chinese appetite for added maritime Lebensraum. 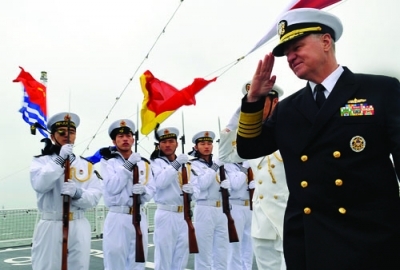 Admiral Gary Roughead, chief of U.S. naval operations, salutes Chinese sailors aboard the hospital ship Daishandao at Qingdao, headquarters of Beijing’s North Sea Fleet, in 2009. The vessel completed its first overseas voyage last fall after providing medical care in Africa and South Asia and treating Chinese navy personnel in the Gulf of Aden. The United States has little time left to engage like-minded Pacific allies and forge a viable strategic plan for the region. Without dedicated, high-level attention and continued multiparty efforts to update security arrangements, China will eventually find an opening to gain a permanent foothold somewhere in Oceania. The first step for the United States is to deploy diplomats. The region is overdue for a diplomatic surge. While the former Cold War battlefield of France is host to eight State Department offices, Washington manages to maintain only seven embassies in the underdeveloped countries of the south and central Pacific. American diplomats must move beyond their tiny outposts in Fiji, the Republic of the Marshall Islands, the Federated States of Micronesia, Papua New Guinea, the Republic of Palau, Samoa, and Timor-Leste and develop permanent embassies in every island country in the Pacific. Only a permanent diplomatic presence can establish firm partnerships and allow for a more informed picture of what is happening in the islands. If a permanent presence is impossible, then the Navy’s new Joint High Speed Vessel or the Coast Guard’s National Security Cutters (or the future Offshore Patrol Vessels) can be equipped with diplomatic “mission modules” and serve as mobile gap-fillers in isolated, representation-starved islets. Rescuing a “threatened national” is a time-honored means to justify advantageous “non-combatant” operations, constabulary actions—even outright annexation. To promote stability, State Department diplomats need the resources to grant economic, security, and law-enforcement/anti-corruption aid. In an effort to bolster long-term viability of Pacific nations, services to help the region safeguard its enormous exclusive economic zones deserve more funding. The U.S. Coast Guard’s innovative “Fight for Fish” initiative merits expansion to improve regional surveillance and indigenous fisheries enforcement. More small, robust patrol craft, similar to those produced under Australia’s innovative Pacific Patrol Boat Program, along with operational support and training funds, can help the Pacific’s smallest and weakest nations march towards economic self-sufficiency, reducing the chance of ethnic upheaval. Within the larger regional security framework, the United States and other Pacific players have a strategic obligation to build a collaborative, all-hazards crisis-response mechanism so that in the event of civic dislocation, disaster, or ethnic violence, multinational forces can be in place quickly enough to deter a unilateral intervention, annexation, or establishment of a permanent presence. China’s navy can and will be a helpful contributor to the stability of the maritime commons. Moreover, any country has a right to protect its citizens. But the Chinese military’s growing frustration with the long-established balance of power in the Pacific, coupled with Beijing’s habit of embarking upon bold, geopolitically savvy land grabs, cannot be easily dismissed. With that threat in mind, it is critical to maintain credible surveillance and forcible-entry resources in the region. The presence of a basic force that could “kick in the door” under contested conditions and expel an unwanted occupation force would be useful in dampening the PLA’s appetite for taking risks. China is not alone in its naval ambitions. Big amphibious-warfare platforms, as a valued prerequisite for big-navy status, are proliferating all over the world, offering relatively low-cost sea-basing options to emerging naval forces. Russia has finalized plans to buy four giant $900 million Mistral-class assault ships from France, while Canada is mulling over a purchase of two. China, almost finished with a second new amphibious-warfare vessel, is in the early stages of a rumored building program of sixteen. Australia is planning a pair of massive helicopter carriers. South Korea, Japan, and Indonesia are among the other nations building amphibious craft, all capable of transporting and landing hundreds of fully equipped troops on hostile shores. The worldwide race to deploy amphibious-assault vessels reflects the high-profile successes the United States has enjoyed in leveraging amphibious forces for theater engagement, security cooperation, and crisis response. But America’s success may have been a strategic anomaly, the benefit of uncontested naval supremacy and a unified sense of strategic aims within the international community. Thirty years of relatively harmonious amphibious operations with like-minded partners has led America to forget that amphibious-assault platforms can be just as useful in sowing disorder as they are in imposing stability. And with an ever-increasing number of nations poised to pursue core national interests overseas, the long-unquestioned right of intervention from the sea is set to grow into a far more complex, far more contentious geopolitical challenge. To curb China’s enthusiasm for its new amphibious capabilities, America needs to spend less time fretting about its high-tech military baubles and get back to the basics of building comprehensive regional security plans. 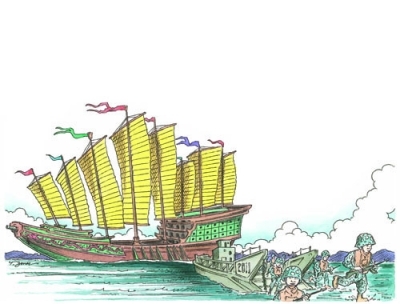 And a critical first step is to recognize the potential impact of Beijing’s low-tech amphibious ambitions.